How can I harvest rainwater to use for watering plants? Children enjoy watering plants with rainwater collected in rain barrels using child-sized watering cans and buckets. Watering plants with harvested rainwater saves resources and is a learning opportunity. 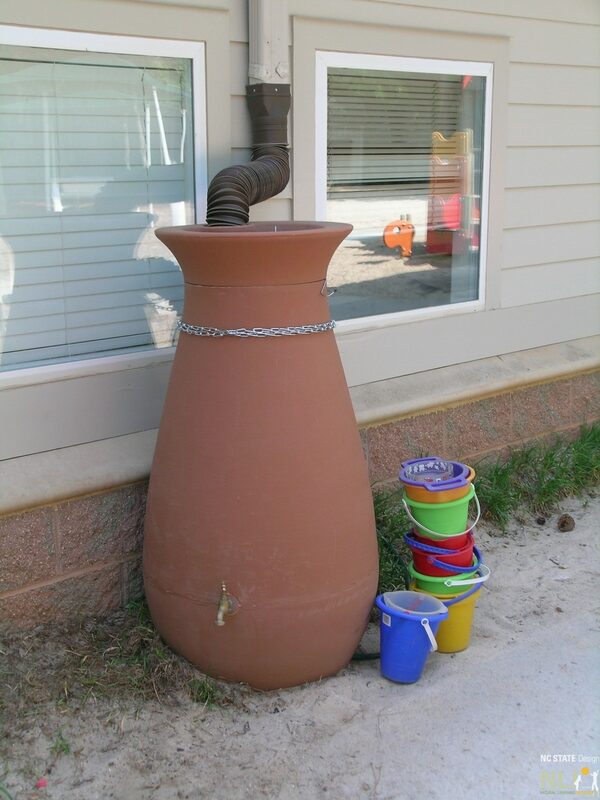 Rain barrels are inexpensive and the tools and skills required for installation are fairly basic. 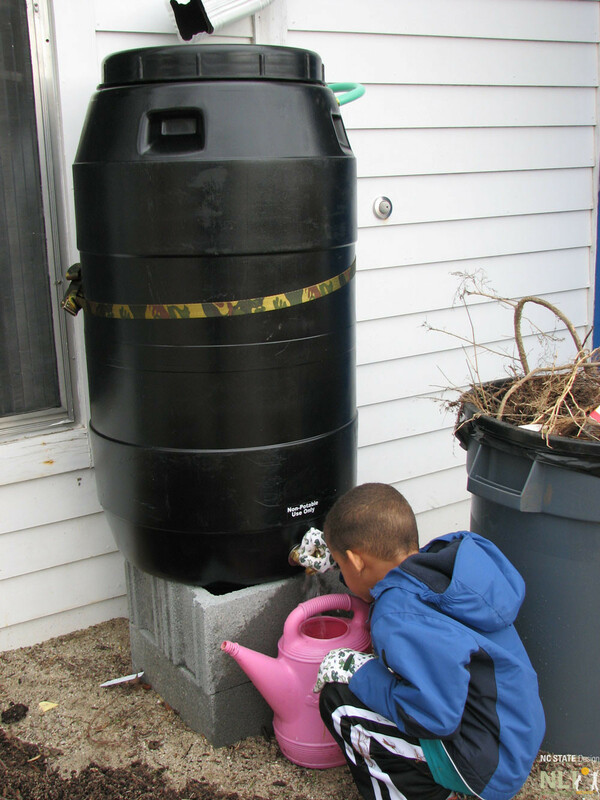 Click here for an information sheet with step-by-step instructions for installing a rain barrel. 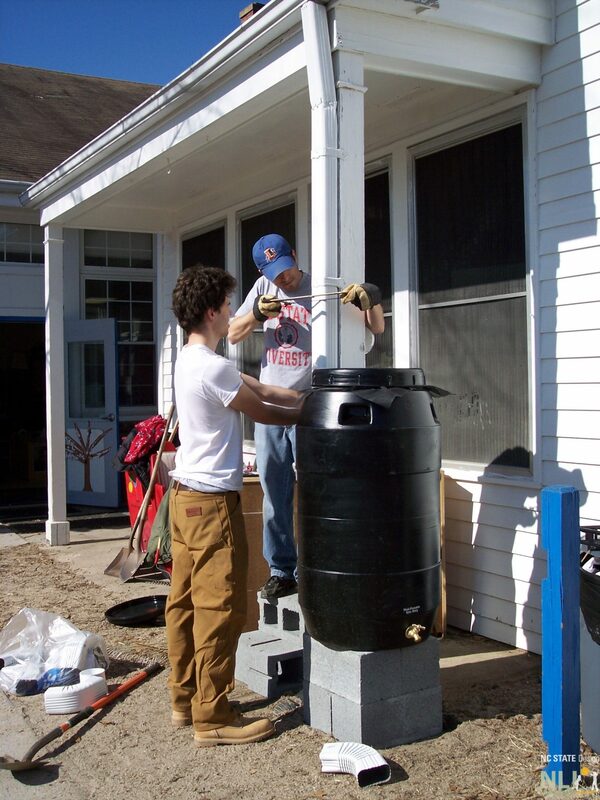 Installing a rain barrel at a childcare center in North Carolina. Child-sized buckets sit near a rain barrel ready for the next watering. A child enjoys filling a watering can with rainwater and watering plants. 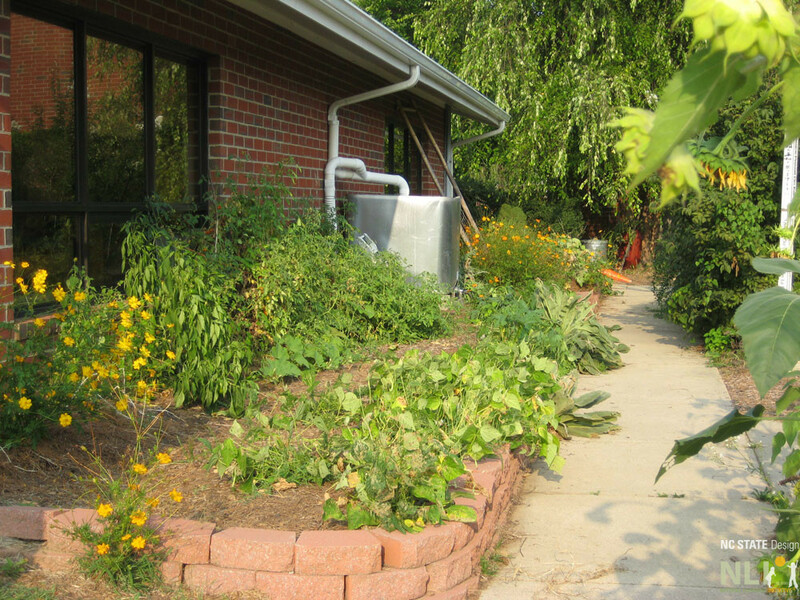 A rain barrel is tucked within a perennial garden.